Today should have been the day when millions of undocumented moms and dads of U.S. citizens could have claimed their chance to work legally and live in dignity in the United States, alleviated, at long last, from vulnerability to exploitation and the constant threat of deportation and family separation. What you should have seen when you got your news this morning were the hopeful and relieved faces of immigrants ready to formally join the American community to which they have already contributed so much. The airwaves were supposed to be filled with interviews of U.S. citizen children explaining what it feels like to be able to leave school without the dread of returning to an empty home. Instead, owing to a single lower court judge in Brownsville, Texas that ordered a nationwide block of President Obama’s deportation reprieve program, the hopes and dreams of millions of immigrants remain on hold, at least for now. On November 20, 2014, President Obama announced a series of executive actions designed to “help make our immigration system more fair and more just.” He made changes to our legal immigration system, revisions to enforcement priorities, and he called for the expanded use of deferred action, a quasi-legal status given to individuals whom the Department of Homeland Security (DHS) deems low priorities for removal. 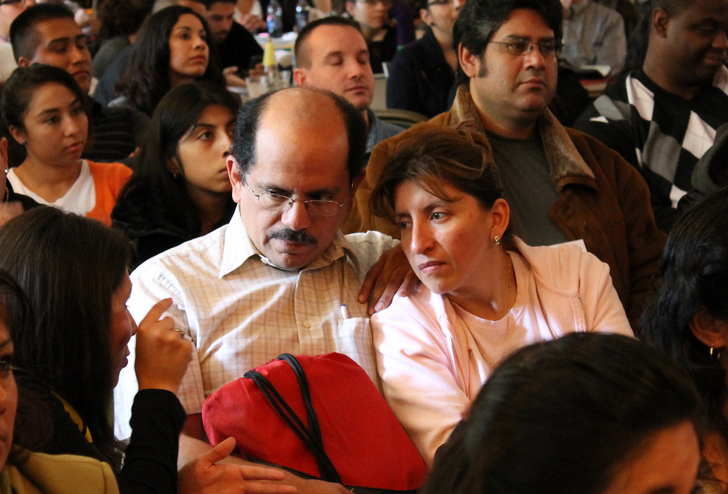 In 2012, deferred action became, in some circles, something of a household concept after President Obama announced the creation of the Deferred Action for Child Arrivals (DACA) program, which has enabled well over half a million young people brought to the United States as children – often called ‘Dreamers’ – to obtain work authorization and deportation relief. What the President announced in November of 2014 would have not only expanded the universe of people eligible for DACA (these changes are commonly known as ‘Expanded DACA’) but would have also created an entirely new program for the undocumented parents of U.S. citizens and green card holders. It is estimated that this new program, called Deferred Action for Parents of Americans and Lawful Permanent Residents, or DAPA, stands to benefit upwards of 3.7 million people, whereas Expanded DACA could impact about 275,000 people not already covered under the original DACA program. Today, the government was supposed to begin accepting applications for DAPA but unfortunate developments in a political lawsuit have created some hurdles that still must be overcome. Not long after the President’s announcement, Texas and a number of other states filed suit, seeking to invalidate the DAPA and Expanded DACA programs. (They did not challenge the original DACA program, nor did they challenge other aspects of President Obama’s executive actions on immigration.) The plaintiffs filed their complaint in the Southern District of Texas, where the case wound up in the hands of the very judge the plaintiffs were probably hoping for: Judge Andrew Hanen. Hanen is a George W. Bush appointee who had previously issued some bizarre and intemperate rulings on immigration, including one in which he accused DHS of aiding and abetting a criminal conspiracy by reuniting an unaccompanied immigrant child with her mother, which, by the way, is what the law requires. It came as little surprise, then, that on February 16, 2015, Judge Hanen issued a widely-criticized ruling ordering a temporary halt to the implementation of Expanded DACA and DAPA. The Obama administration swiftly appealed Hanen’s decision and now all eyes are on the Fifth Circuit Court of Appeals which will likely soon issue a decision on whether or not the preliminary injunction stays in effect while the court case moves on. But immigrants and immigrant advocates are not standing idly by while the courts decide their fate. They have declared today a national day of action and have called for rallies all across the country to denounce Hanen’s ruling and pledge support for efforts like DAPA that are designed to make our immigration system more humane, more aligned with public opinion, and closer to the values we hold dear.